It’s super interesting to see that the growth rate is at 2.1% per year. I’d like to just add that the ratio of birth to death rate is at about 2.5:1 at the moment. 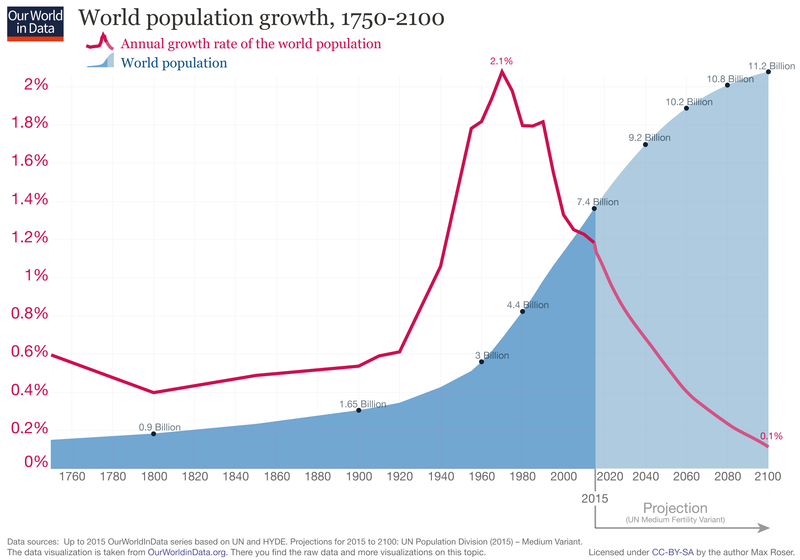 This means there are roughly 84.21 million people are being added to the world population per year.